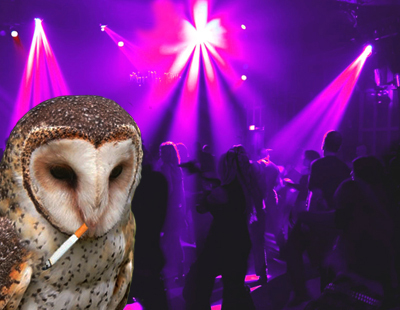 Saw this guy smoking in a nightclub. Congratulations, you’ve produced the photoshop equivalent of a kindergarten collage (even then, the teacher thinks you need to stick more pictures on there). I didn’t produce it, but I will tell the little orphan boy who is dying from being beat by a parliament of owls that it sucked. Boy this is going to be hard.